It is the most wonderful time of the year if you’re a college football, it’s bowl season! Capital One Bowl Mania is about to get underway and this is the Christmas gift college football fans are waiting for. Starting on December 17, there are 41 bowl games slated in Bowl Mania, and each game is action packed with many stars taking the field. You probably can’t watch all 41 games, so I picked the top 5 games you should take time out to watch watch this Bowl Mania season. USC is a team nobody wants to face right now, as they come into the Rose Bowl. Riding the hot arm of their quarterback, Sam Darnold and their electrifying x-factor, Adoree Jackson, the Trojans are coming in looking to cap off what seems to be a turnaround season. On the Penn State side, they are coming into this game off a sensational comeback win against what was then ranked No. 6 Wisconsin. Penn State Coach James Franklin has brought back the roar in the Nittany lions after the craziness that was called the Jerry Sandusky scandal. Penn State has its stars too with quarterback Trace McSorley, and receiver Chris Godwin (Delaware native, shout out to him). Penn State might come in this game a little angry, as they just missed the cut to make the College Football Playoffs. But playing in the Rose Bowl is quite the consolation prize. This game looks like it is going to be a high scoring affair so this is a game you shouldn’t miss. This game can be caught on ESPN, January 2, 2017 at 5 p.m. This game is the story of Houston’s dominant rush defense against arguably college football’s best running back in San Diego State’s Donnel Pumphrey. Pumphrey is climbing the FBS career rushing list and has eyes set on number one. After passing former Longhorns running back, Ricky Williams his last game in last Saturday’s Mountain West championship game against Wyoming, he is now set his eyes on former Wisconsin back Ron Dayne. Only needing 108 yards for the record, it won’t come easy as Houston’s run defense its stifling, led by freshman defensive lineman, Ed Oliver. I’m more interested in Houston’s demeanor coming into the game, after what was a slightly disappointing season, and with the news of their head coach, Tom Herman leaving his job there for the spot at Texas, I’m looking to see if Houston will have the fire needed to get the win. Catch this game December 17, 2016 on ABC at 3:30 p.m.
Michigan is going to come into the Orange Bowl with a little mean streak in them. 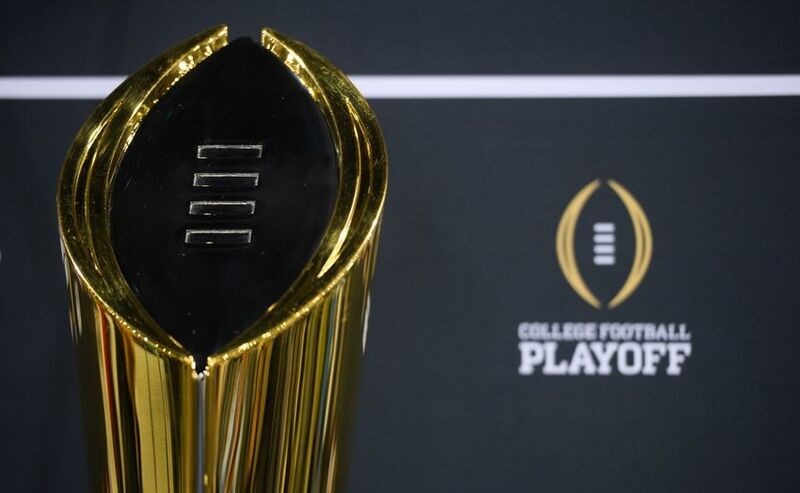 Just missing the cut in the College Football Playoff when they were right in the mix for most of the season I expect to see an angry Michigan team looking to take it on the Florida State Seminoles. Seminoles have quite the firepower to make this a game, if the can keep their freshman quarterback, Deondre Francois off the ground this game. Francois has taken a brutal beating all season, being thrown around like a toy a little kid didn’t want for Christmas. (Just a little Christmas humor). This is going to be a problem, as Michigan’s Defense is dominant this season, causing 44 sacks. Michigan is coming to make a statement, saying they shouldn’t have been left out of the playoffs as FSU is looking to cap off a decent season. See this game December 30, 8 p.m. ESPN. How could I make a top five bowl games without a playoff game? That would be absurd. Clemson is coming in off their ACC championship win against Virginia Tech, which was closer than most expected it to be. That’s how most of their wins have been, nail biters, but if you win, that’s all that matters. Clemson is led by Heisman finalist, Deshaun Watson, who has had a great season, but it’s flown under the radar. The Clemson defense has been a bit inconsistent this season, but has stepped up when needed. They will need to in a big way against Ohio State. This is the only team in the top four who didn’t participate in their conference championship game, which has people wondering if they should’ve really made the cut. Their strength of schedule made up for that, and now the Buckeyes, led by star quarterback J.T Barret, is hoping to knock off Clemson and really rip apart the Tiger Defense. This has the look of an instant classic with two high powered offenses going at it for 60 minutes. This game will be on ESPN, December 31, at 7 p.m. This game is a MUST WATCH! I put that in all caps for a reason. This game is featuring arguably the two most impactful players in college football. Louisville’s quarterback Lamar Jackson has had a season for the ages and is the favorite to win the Heisman. He has had defensive coordinators up all night trying to formulate a plan to stop him from ripping apart their defense. If you need a blueprint for that, just ask Houston University’s Todd Orlando. Now it hasn’t been all pleasant, as Louisville stumbled to the end of the regular season, losing to Houston and Kentucky which dashed their playoff hopes. But it’s Lamar Jackson which is always must see TV. He is so electric that he can have a record day any day. This game might be hard against LSU’s defense, but Lamar Jackson is built for the challenge. On the other side, LSU running back Leornard Fournette, is coming into his last collegiate game, as he declared for the NFL Draft earlier this week. This is a grown man running the ball, and when Fournette plays, he is almost impossible to tackle. He is going against a Louisville defense that has been lacking the whole season that has been bailed out by their star QB in Jackson. Fournette is looking to end his collegiate career with a bang, and Jackson is looking to give his fans something to be more excited about next season (if that’s even possible). This game is star studded to the core and you’ll have to get up early to watch this one as it is on ESPN at 11 a.m., on ABC.